Cecilia Patricia “CeCe” Costanzo of Waldron, Arkansas passed from this life Thursday, July 26, in Fort Smith, Arkansas surrounded by her loving family. CeCe was born August 23, 1946 to George Dempsey and Marie (Bemus) Dempsey in Chicago, Illinois. CeCe was 71 years, 11 months, and 3 days old. CeCe was a loving mother, grandmother, and great grandmother. She enjoyed spending time with her family most of all. Her children, grandchildren, and great grandchildren were the highlights of her life and could always bring a smile to her face. 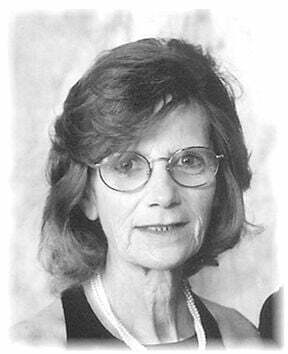 CeCe leaves behind to cherish her memory, two daughters: Dawn Freeman of Pensacola, Florida and Denise Davis of Waldron, Arkansas; two sons: Jimmy Oswald of Waldron, Arkansas and Paul Costanzo of Oklahoma City, Oklahoma. CeCe will forever remain in the hearts of her ten grandchildren, Trevor, Ember, Anthony, Michael, Dakota, Corrine, Ashli, Randy, AL, and Gabby as well as her eight great grandchildren. CeCe is also survived by two brothers, George Dempsey and Jack Dempsey both of Chicago, Illinois. CeCe will be missed by all that knew her and the many whose lives she impacted, including a host of extended family, friends and loved ones dear to her heart. CeCe was preceded in death by her daughter, Tracy Justice, her husbands, Paul Costanzo and Jim Oswald, her parents George Dempsey and Marie Dempsey, and one sister Carolyn Catorie. CeCe’s life celebration was held 10 A.M. Monday, July 30, at the Heritage Memorial Funeral Home Chapel in Waldron, Arkansas. Arrangements and cremation are being entrusted to the Heritage Memorial Funeral Home in Waldron, Arkansas. You may leave words of comfort and remembrance for Jim’s family by visiting: www.heritagememorialfh.com.